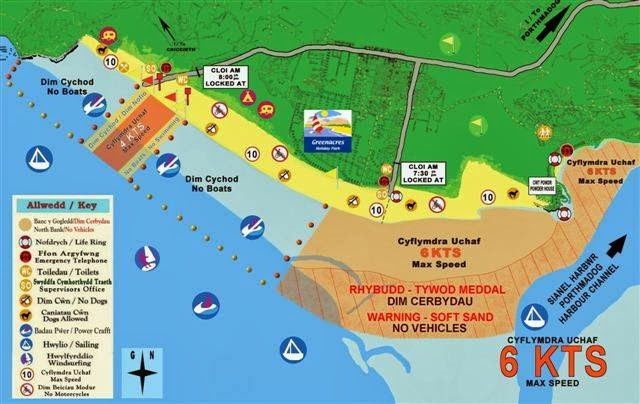 Home » Welsh Holiday News » Looking forward to 2014? Happy New Year to all our followers! Now that Christmas and New Year is over, have you noticed all the holiday adverts on TV that have started to appear? Do you wish you had something to look forward to? 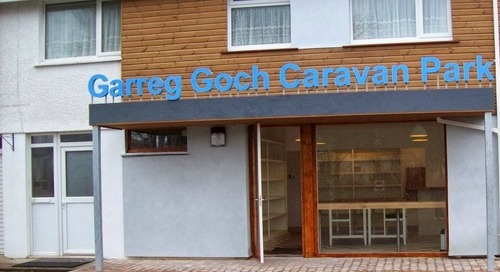 Why not book a holiday at Garreg Goch Caravan Park? Within a five minute walk you will find a beautiful two mile long sandy beach, which would be the envy of any country in the world. The beach has both hard packed sand and soft shallow sand dunes – the best of both worlds! Children can dig to their hearts content and run around on the hard sand and you can also take drive on it. Yes, that’s right, you can take your car and park all day. Ideal for those days when you have the kids, beach chairs, picnic baskets, buckets and spades to take to the beach. There are designated dog areas, and for boats or jet ski launching. The beach shelves very gradually and gently to the sea, without pebbles to hurt your feet to get there! Very safe and ideal for the little ones for paddling. Equally important, somewhere you will enjoy swimming - the warm waters of the golf stream are always in evidence and on a sunny day, the water is warmer than the Mediterranean! There are rock pools in various areas for the older children to dabble in and see what they can catch, or to learn about various sea creatures. In short, there is something for everyone to enjoy at Black Rock Sands. So if you are looking for a family friendly beach holiday, look no further. We have various grades of holiday homes to suit all sizes of family. All are fully equipped with everything you need for a comfortable home from home stay. Check out our web pages for more information about the holiday homes, for prices, and a downloadable brochure. Then you will know you have chosen a holiday to rival any of the TV adverts! 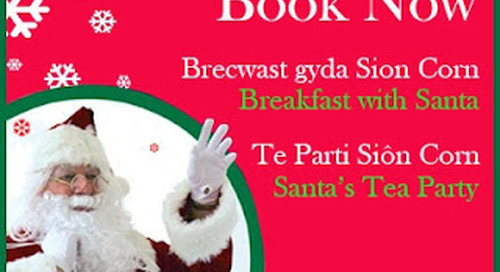 Welcome back to a New Year at Garreg Goch Caravan Park!